If you live in the valley like me, then North Road may be a familiar drive. But how often do you get off the main road? 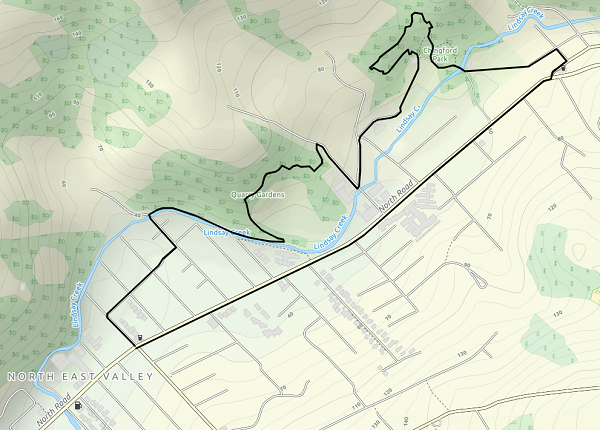 Here’s a great 4.5 km loop that will take you up the valley from Blacks Road to Normanby, and back through the bush and gardens along Lindsay Creek. 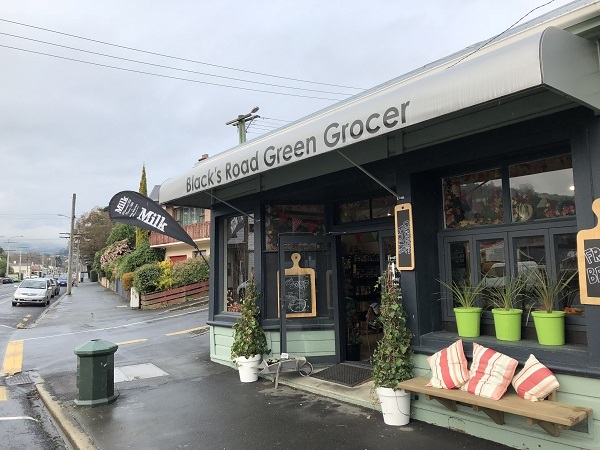 You can finish up with coffee and cake at Blacks Road Greengrocer! Practicalities: wear sturdy footwear and keep an eye on any kids through the upper Quarry Gardens as there are drop offs! If that’s not for you, then you can walk around the bottom instead. Apart from the Quarry Gardens and the loop trail above Chingford park this walk is actually pretty flat and accessible. You can adapt and shorten to suit, e.g. by cutting into Chingford Park at the main entrance and sticking to the flat trails, or by bussing up to Chingford Park. 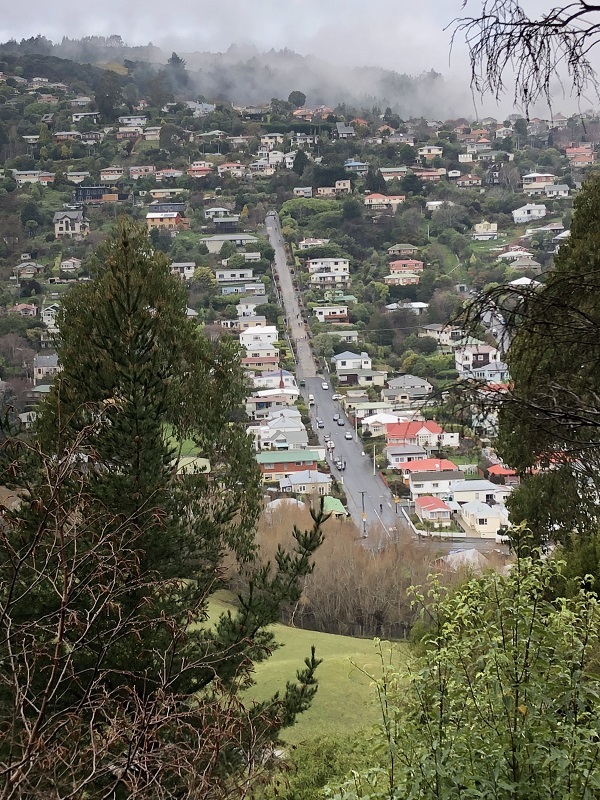 From Blacks Road, walk up North Road until Norwood Street. Check out the war memorial at the North East Valley School gates on your way up. Take Norwood Street, Tannadice Street and Dryden Street in quick succession to get onto Chingford Park sports field. Watch out for cricket or soccer! Walk around the sports field to the pavilion, turn right onto the wide driveway and cross the sturdy bridge over the Lindsay. 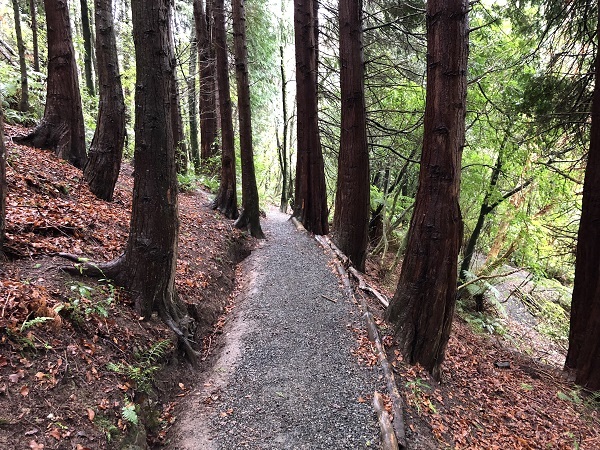 Just keep heading up until you join a lovely nature trail above the park! As you descend from the loop trail you’ll pass the historic stone stables. 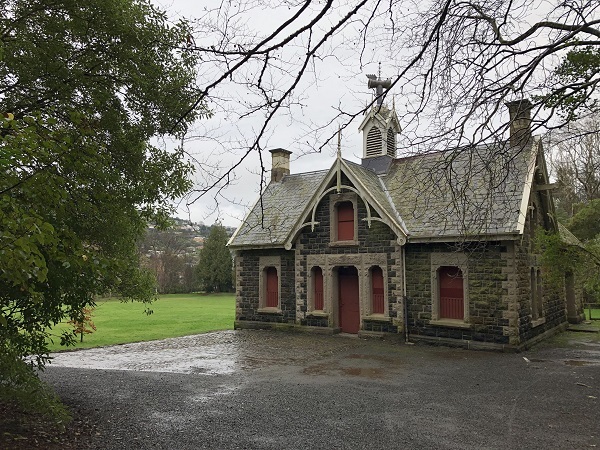 The stables were built in the late 1800s to house the horses of wealthy Dunedinites. Nowadays they make a great venue for public and private events. It’s not just cricket and soccer played at Chingford Park. 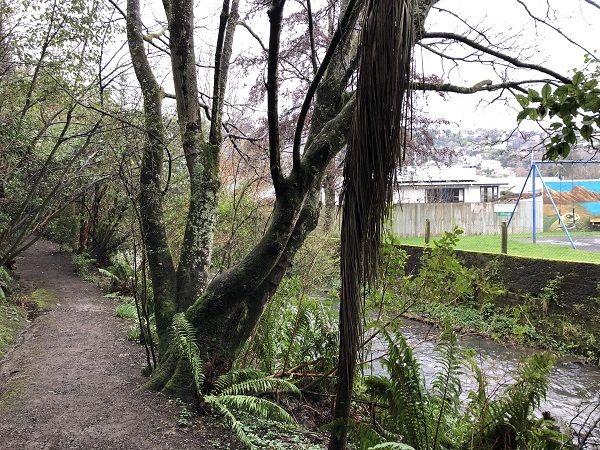 You can also join Dunedin’s archery club, or enjoy a round of disc golf with the family (see disc golf hire / links on the Valley Project website). Unless you brought your Frisbee, walk diagonally across the field to the right of the stables to the exit onto Afton Terrace. Keep going to Kelvin Road and then Watts Road. It’s tempting to see the old warehouses here as a little run down, but look a little deeper and there’s a lot of character in this area. Not to mention business and organisations like Tinker School. Quarrying stopped in the 80′s and we’re very lucky that these privately owned gardens are still open to the public. It’s well worth wandering the terraced tracks above the old quarry pit if you have time. 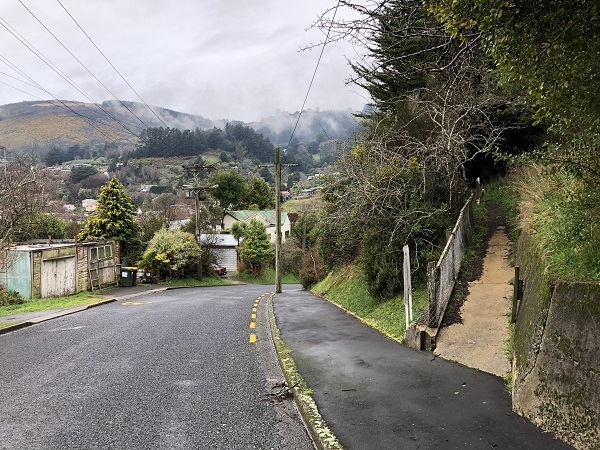 As you walk around the lip you might also get a different perspective on a local landmark; the worlds steepest street. 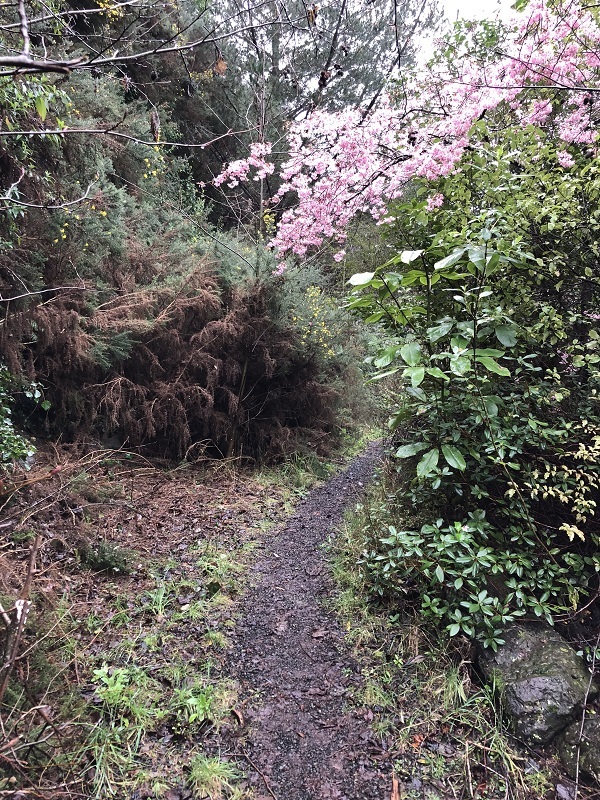 One of my favourite discoveries on this walk was that if you turn right before exiting the Quarry Gardens there is a wonderfully maintained track running down the side of Lindsay Creek. The track ends on Selwyn Street, and you’d wouldn’t know it was there from a cursory glance! 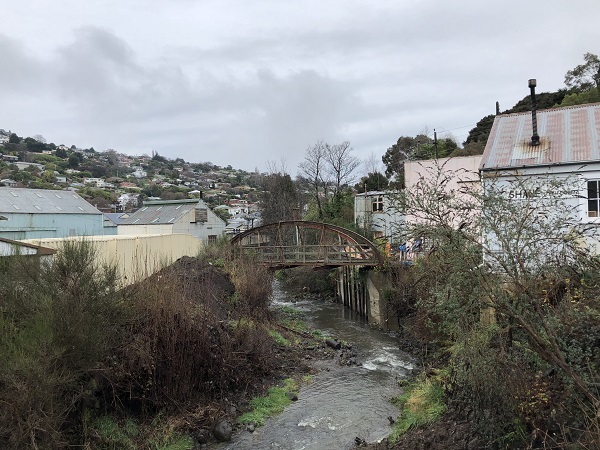 From here enjoy a view of Lindsay Creek before wandering down Selwyn Street. Turn right onto Paris Street and at the T-junction left onto Northumberland Street. You’ll soon be back at your starting point, with the Blacks Road Greengrocer café just over the road for some well deserved refreshment. Enjoy! I did parts this walk whilst trying to walk down the valley with as much time in parks, gardens and bush tracks as I could. I didn’t quite resort to paddling down the Lindsay Creek on an inflatable! 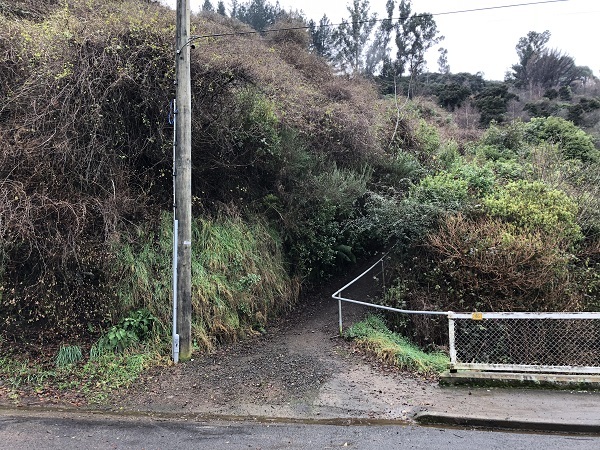 But I did ponder how cool it would be to walk or cycle off-road from the Botanical Gardens all the way through to Bethunes Gully. I envisaged an extension of existing tracks, almost all in the bush or along the Lindsay, ideally with sign posted stop off points for various landmarks (like Baldwin Street), cafes (like Blacks Road Greengrocers), and a mini arts and craft quarter in the old warehouse area. How cool would that be for our city, residents and visitors? The opinions in this blog are entirely my own and do not represent those of the people or organizations that I am associated with in a professional or personal capacity. The content is provided for information only and I make no representation as to its accuracy or completeness in any particular usage scenario. I will not be liable for errors, omissions, losses or damages arising from use of the content. So please review and test any code before live use!